Fruits For weight loss. Some people think that fruits are not as beneficial for weight loss, because of their sugar content. Notwithstanding, fruits contain many nutrients that are good for your health, and give you a feeling of fullness while consuming a smaller amount of calories. Also, note that the sugar in fruits is different from the refined white sugar that we produce. Fruits are not carcinogenic, white sugar is! 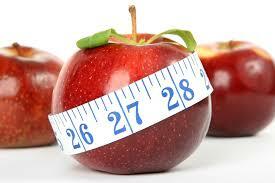 If you follow a strict diet to lose weight, apples must be part of it. An average apple contains about 50 calories and contains no sodium or fat. Studies on the subject showed that Brazilian women who consumed apples before meals lost more weight compared to women who did not eat apples. Avocado is considered a superfood because of its content of potassium, vitamins, fiber, healthy fatty acids and nutrients. Avocados are rich in monounsaturated oleic acids found in olive oil as well. Studies have shown that the fatty acids in avocados promote the absorption of nutrients from the vegetables you consume. In addition, you can substitute meat by avocado in your sandwiches! A banana contains 105 calories and a medium banana is a perfect food and a rich source of energy, especially after exercise. Indeed, bananas prevent acidity, eliminate muscle cramps and even constipation. It is high in fiber and calories and has a low glycemic index, which means you can eat it without the risk of raising your blood sugar. It maintains the proper functioning of your digestive system, which leads to the stimulation of the process of weight loss. Kiwis are high in fiber and have a nice sour taste. Kiwi seeds provide you with soluble and insoluble fiber and stimulate your digestive system. You can prepare a refreshing kiwi-based snack or add it to your favorite smoothie to enjoy its sweet and sour taste. The watermelon is a fruit essential for weight loss. It contains 90% water and a 100 gr serving contains only 30 calories. In addition, watermelons are rich in amino acids known as arginine that help you burn fat. They hydrate you and give you a feeling of fullness for a long time, so you avoid nibbling. Strawberries are low calorie and a rich source of antioxidants and vitamins. Regular consumption of strawberries is directly associated with good ocular and cardiovascular health in addition to stimulating the immune system. There are many ways you can eat strawberries, including mixing them with kale or spinach or apple juice to get a delicious and energizing smoothie for breakfast. The whole eating also helps remove mercury from the fish with the seeds all over the fruit! Tomatoes are rich in antioxidants that help to fight water retention in your body and resistance to leptin while losing weight. A 100 gr serving of this fruit contains only 47 calories, which is a perfect snack for a person who follows a strict diet. Thanks to their sweet taste, oranges help you to resist sugar cravings. The pears are high in fiber that you need every day and are beneficial to the digestive system. This fruit lowers cholesterol levels and decreases the risk of type 2 diabetes and as well as coronary heart disease. In addition, the fibers in the pears give you a feeling of fullness and boost your energy because of their vitamin C.